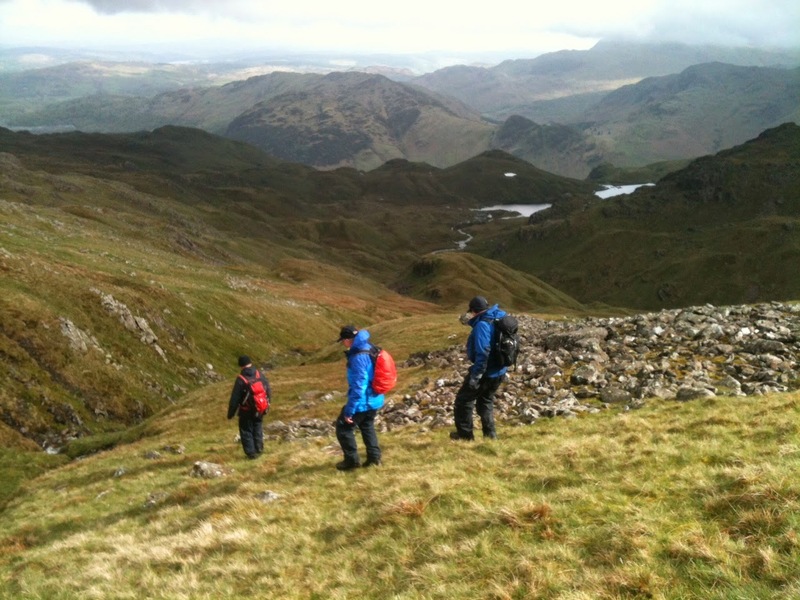 Our first Mountain Training 'Mountain Skills' course of 2014 was based at the Old Dungeon Ghyll in Great Langdale. 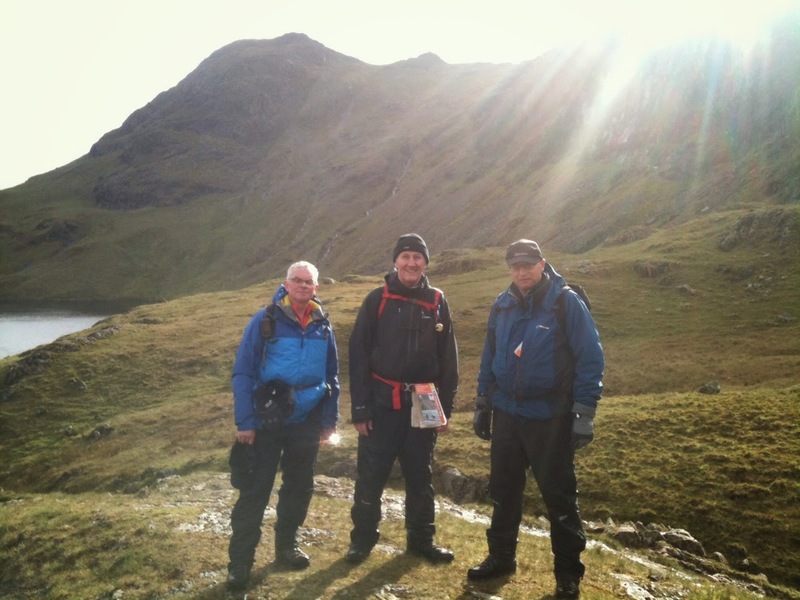 Saturday route: Langdale Pikes and Sergeant Man; Sunday route: Pike of Blisco. We had every type of weather thrown at us - 50m visibility across the Langdale Pikes, strong winds, heavy rain and sunshine! Great for practicing nav skills! Photo taken on 'off piste' descent towards Bright Beck from Sergeant Man. Sunday route: ODG, Oxendale, Red Tarn, Pike of Blisco, Wrynose Fell. Next Mountain Skills course? 26th & 27th July, Glenridding, Lakes.